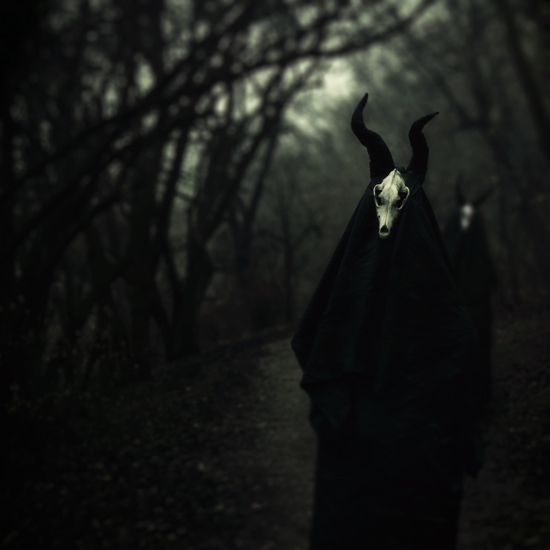 All Hallow's Eve is rife with superstitions, omens and charms against evil. I found a neat list of these collected here (warning: source site looks like it is stuck in the '90s) and couldn't resist re-posting! 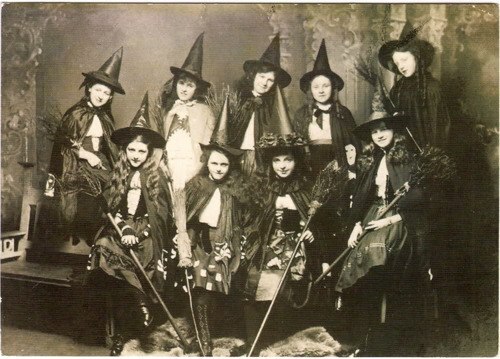 Check out a few superstitions, omens and charms about Halloween below. Tying a knot into a handkerchief wards off evil. If you do not want to be haunting a graveyard any time soon, be sure you do not look at your shadow in the moonlight. Doing so on All Hallows Eve will guarantee your death within a short span of time. When a good life was lived, flowers will grow on the deceased’s grave. But if the deceased was evil, weeds will grow. Never slam a door. You might hurt a ghost, who’ll haunt you for the rest of your life. Kill a black cat on Halloween and you’ll have seven years of bad luck. Thunder following a funeral means that the dead person’s soul has reached heaven. If you hold your breath while you drive by a cemetery, evil spirits can’t enter your body. Don’t point at a grave or your finger will rot off. A person born on Halloween can see and talk to spirits. Cool post. Love reading them all. Thanks for sharing. Everyone put their mark on a stone and throw it in the Hallowe'en bonfire. As soon as the flames die down, everyone must rush home, or get eaten by the Cropped Black Sow. 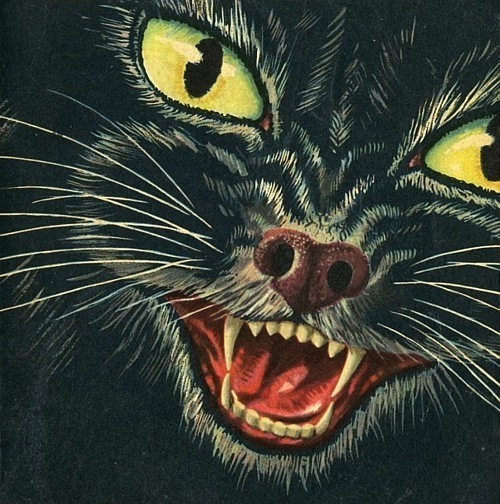 Hey, that black cat comes from The Pan Book of Horror Stories, which I am reading at the moment.I love the pictures, especially the second one. I love those old superstitions too.